Free, no obligation, 15 minute consultation to see if we can help. and feel so much better in myself.' Read what some of our patients have to say about us. There are a number of ways to get in touch with us. Find out how here. Here at Southsea Chiropractic Clinic, we like to keep things simple and we trust you are here because you already know a little about chiropractic and its possible benefits. Our testimonials page will give you some idea of our successes and we publish every testimonial we receive whether it's good, indifferent or otherwise. 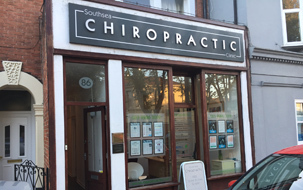 We are a friendly, family run, long established chiropractic clinic established, conveniently located close to the centre of Southsea. We pride ourselves in doing our utmost to get you back to good health and out of pain as soon as we possibly can. We do not expect you to sign up for dozens of treatments as we don’t expect your course of treatment to last that long. 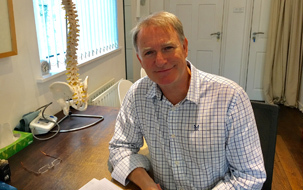 At Southsea Chiropractic Clinic as well as traditional chiropractic methods, we also use a variety of techniques including some very gentle methods that do not require physical manipulation. Whatever your age, size or profession, your body will do its utmost to keep you fit and operational. Sometimes, however, your body needs a helping hand to enable it to do its job. Pain is the body’s way of letting you know that something is wrong and should not be ignored. Your chiropractor is trained in finding and treating the cause of the pain at source. Pain killers and anti-inflamatories often merely mask the problem.